Encouraging young children to respect differences in others and act with kindness and politeness. Mr Rabbit’s new neighbours are otters, which makes him nervous. He has never met an otter before, and is not sure they will get along. 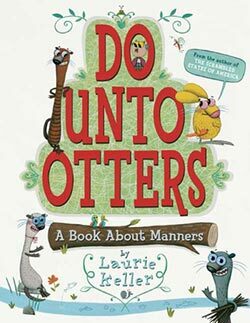 Mr Owl suggests that Mr Rabbit follows this advice: Do unto otters how you would have otters do unto you”. This makes the rabbit think of ways he can get along with the otters, and his kindness and thoughtfulness result in friendship between the animals.